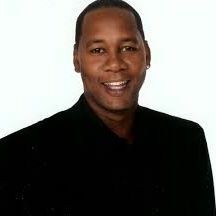 Actor/comedian Mark Curry is best known as the star of the ABC sitcom "Hangin' with Mr.Cooper," which aired for five successful seasons. Mark has countless other television & film credits, including: his own Comedy Central stand-up comedy special, three years of hosting duties on "Showtime at the Apollo," and starring in the feature "The Fanatics." Mark grew up in Oakland, California. He still spends much of his time there, performing to sold-out ... Más informaciones crowds and encouraging students to stay off drugs and follow their dreams.